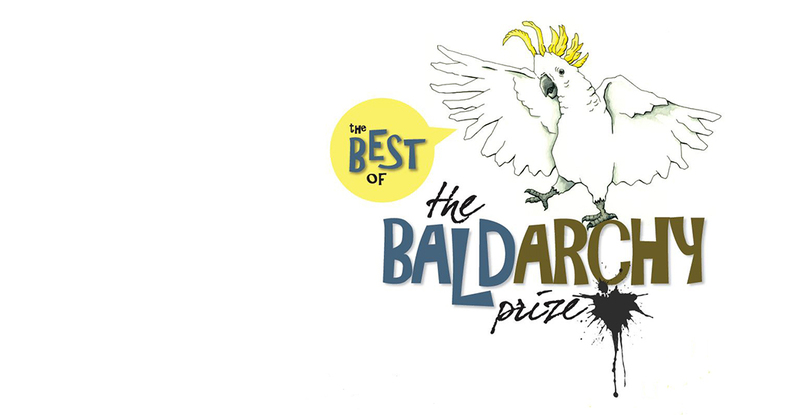 For 25 years a discerning cockatoo named Maude has judged Australia’s most irreverent art prize: the Bald Archys. In an Australian first, Museum of the Riverina gathers all the winning entries of the nation’s toast to satirical portraiture. Founded in 1994 in the Riverina town of Coolac by Peter Batey OAM, the Bald Archys stand apart from that other portraiture prize they hold in Sydney. Bald Archy entries skewer and lampoon the egos and excesses of our celebrities and politicians. The Best of the Bald Archy prize is on exhibition at Museum of the Riverina’s Historic Council Chambers site from 6 February – 13 May 2018.